Next Post VaultPress to the Rescue! Wow! It looks so formal now. 🙂 Thank you! 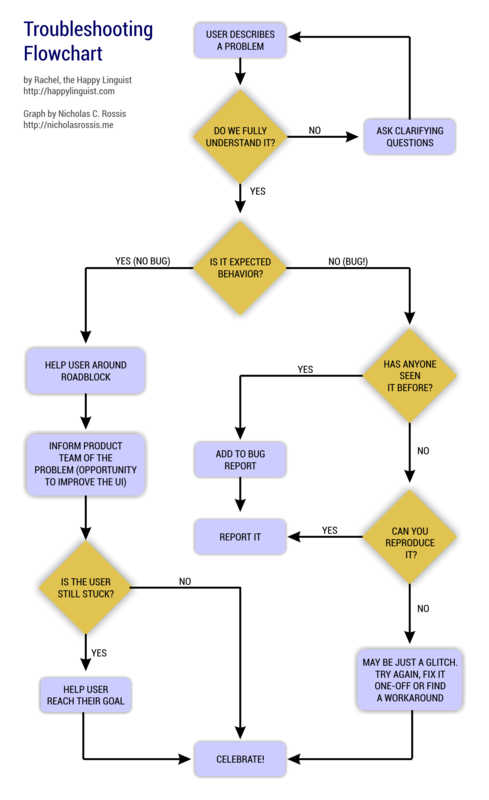 Nicholas, can I ask you which software did you use to create this flowchart? I love this. Add it to the training guide? Thanks for creating this flowchart, Rachel. I am going to print it and use it in my day job. Cheers.